You know that feeling you get when a movie just completely obliterates you? The credits are rolling and you’re just sitting there, numb to the world, with the film acting as a sort of pressure prohibiting you from doing anything at all? That’s how I recently felt after my viewing of Justin Kurzel’s 2011 film Snowtown, also called The Snowtown Murders in some parts of the world. This piece of unequivocal horror is based on the brutally true story of Australia’s worst serial killer, and the people he drew into his web of torture and murder. This is not an easy film to watch, and I’m sure there are some that may call it unwatchable, but I firmly believe that this may be one of the most horrifying films I’ve seen in a long time. 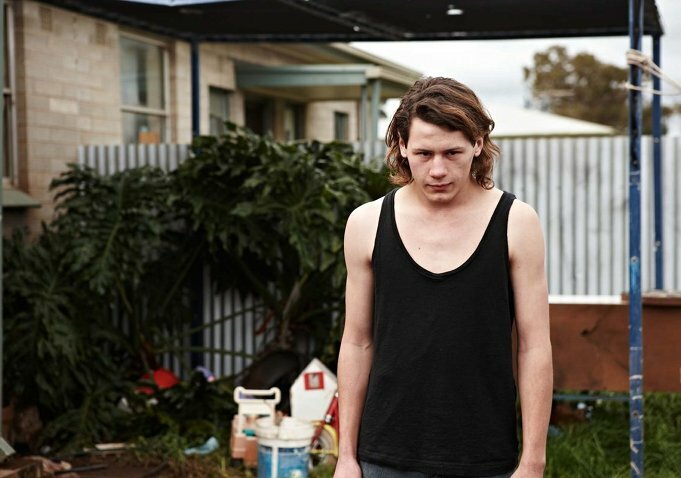 Jamie (Lucas Pittaway) is a teenager growing up in a poor suburban area of Adelaide. He has a couple of brothers and a loving mother, Elizabeth (Louise Harris), who despite the love has a hard time making ends meet. After the short lived relationship she’s in with her neighbor ends with her sons becoming in danger, Elizabeth doesn’t know where to turn. That is until she meets John Bunting (Daniel Henshall), a charismatic man who has a sort of team of vigilantes who keeps a harsh eye on certain people in the neighborhood. Jamie takes and especially strong liking to John, and it doesn’t take long for John to become Jamie’s mentor and father figure. As Jamie spends more and more time with John, he begins to notice certain behavioral patterns that don’t seem quite right, and when more and more neighbors begin to disappear the pieces really begin to fall into place. 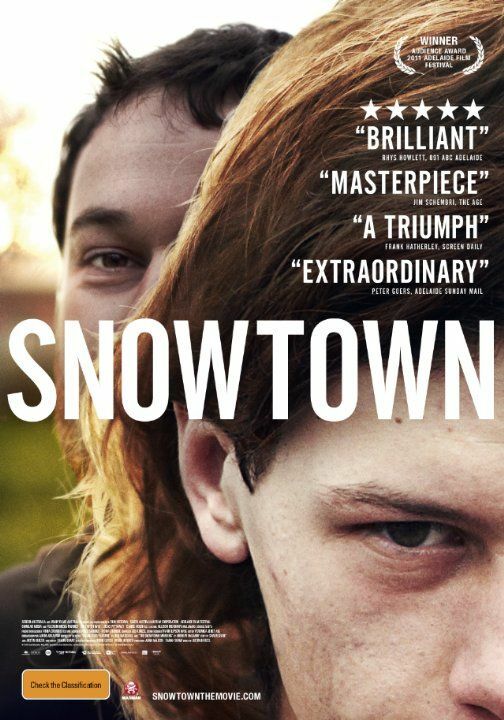 Snowtown is a ten ton punch in the gut, and I really wouldn’t have it any other way. Kurzel does not mess around with what he’s willing to show and it makes the movie all the more horrifying. There’s terror to be seen everywhere from the people living around this family to the actual members of the family and finally from John, who is a presence that’s hard to describe. It was also a smart choice to have this film shot mostly in a hand held style with the surroundings often times being close to colorless. This is a very down to earth movie in the way it’s presented, but the lack of color brings in a layer of hopelessness and the living situations make it seem impossible for these people to escape the horror that is plaguing their lives. This is how you do it, ladies and gentlemen. This is top tier horror film making. It’s kind of hard to find really serious problems with Snowtown because they really feel very few and far between. There’s some unnecessary padding to the plot in a couple of scenes. A few bits go on a bit too long, but it’s really nothing that noticeable unless you’re really trying to nit pick, which I’m certainly not. The plot moves at a very certain pace, which boarders between being a slow burn and an edge of your seat thriller. The only thing that really sticks out to me that I can complain about is the way the passage of time is shown. There are a few cues to show that time is passing, but I feel like a lot happens in this movie without any sort of clue as to how much time has passed from one scene to another. This movie could happen over the course of years, months, or weeks. I’m really not too sure. This does add a layer of disorientation, which is kind of cool, but it still would have been nice to have seen progress shown in a more clearer fashion. With this movie being told in the way that it is, the actors would really have to sell that they aren’t actors playing characters, but are the actual people they are playing. It’s clear Kurzel wanted the audience to completely lose themselves in this movie and not just switch off and watch it. That being said, he casted a lot of people who aren’t actors, but were rather people who lived in the area. Lucas Pittaway, who was never in any kind of film before this, is excellent as Jamie, who gets completely entangled in John’s plans. His mother, played by Louise Harris, was also virtually unknown before this and she does a great job at bringing this character to life in a realistic way. Finally, Daniel Henshall, who plays John Bunting, was only known for some performances in television, but he gives a horrifying performance as the murderous mentor of Jamie. It’s something I won’t soon forget. Snowtown is a prime example of true, excruciating horror. Justin Kurzel and his team do not hold back with this movie. Some truly terrible acts that really happened are depicted in this movie, which may turn some people off. It’s definitely not an easy movie to sit through, but it does tell a story that will guarantee to send shivers down anyone’s spine. I can’t emphasize enough that this is the way horror films should be made, even though this particular one is also filled with a lot of drama and true crime elements. If you ever get a chance and think you can stomach the content, I would highly recommend checking this film out.